I’m on the hunt for a light, airy, textured pendant light for our kitchen, so I thought I would share some of my finds! These hanging lights would add beautiful texture and style to any space. If you’ve been around the blog for a little while, you know that I’m a big researcher. I can’t buy anything without comparing all of the options, reading reviews, and thinking about the purchase a lot. Delayed gratification is my friend 🙂 Something we would like to replace soon is the hanging light in our kitchen. Currently we are rocking the frosted glass pendant that the builder provided, but it doesn’t add any style or warmth to our very white kitchen. On a practical note, the direct down lighting also makes us feel a bit like we’re being interrogated! 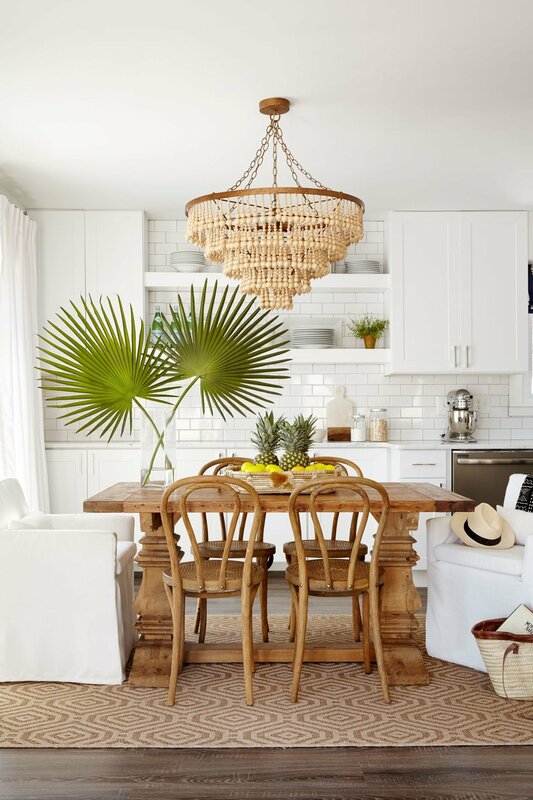 I’m loving the look of textured pendant lights, made with materials like rattan, seagrass, or beads. 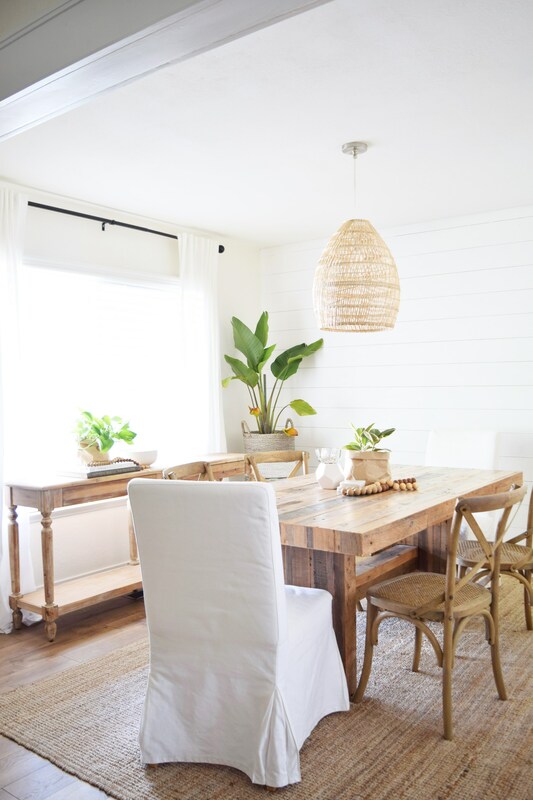 They add an airy and coastal vibe to a room, and I think the texture would do a lot for our kitchen which is still a relatively blank slate (although I am SO happy with the updates we did a few months ago!). Here are some inspiration photos! And here are the textured pendant light options I’ve rounded up so far. Click the photo for details! Thanks so much for stopping by today, friends! 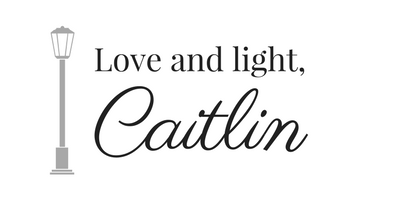 Let me know what you’ve been up to, I would love to see your DIY and decorating projects!